Since dating can mean a variety of things to a variety of people, we’re going to give you a few scenarios that hopefully you will be able to use as guidance if you’re considering giving flowers to someone. If you’ve moved past dating and are into a life-long love relationship, we have some flower recommendations for you too, in our “Celebrate a Summer Anniversary with Sunny Cosmos” article and our “Tulips are the Perfect Flowers for Any Anniversary” article. Showing up with flowers on a first date is a generous move and a gesture that expresses your willingness to bring happiness to another person. For specific ideas on first date flowers, read our article on flowers to give when you are dating. Around the third date, you might want to bring a little bunch of flowers to show you’ve been thinking about the person you’re spending time with. If you’ve messed up, in a small or big way, you might want to give flowers to show your apologies in tangible form. How awesome would it be to receive beautiful flowers just because? Pretty great, right? The person you’re dating probably thinks so too, so consider surprising him or her with a single wild bloom you’ve picked or a pretty bouquet. A birthday is a great occasion to give flowers when you’re dating. Opt for a celebratory bouquet filled with flowers that are joyful and beautiful, just like the gift’s recipient. You can give flowers for an anniversary whether you’ve been dating for a month or a year. Consider choosing anniversary flowers that your other half has expressed love for. There are many other times that giving flowers while dating would be appropriate, and special. Follow your instincts, and heart, and we know that any gift of flowers you give will be treasured. 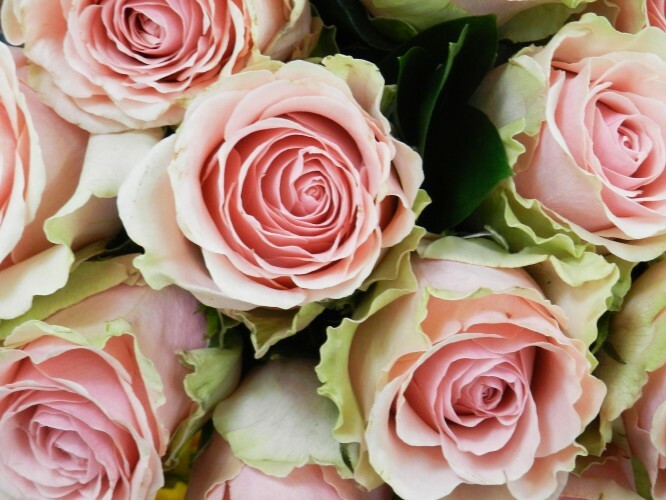 We recently shared some flowers that we think are wonderful to give to someone you’re dating. Today, we thought we’d offer some suggestions for when you could give flowers during the dating process.There are various degrees of dating. We know that. There’s a first date, a couple-of-months-in type of dating, the “we’re pretty serious” dating, and dating that’s obviously going to turn into something permanent in the near future.